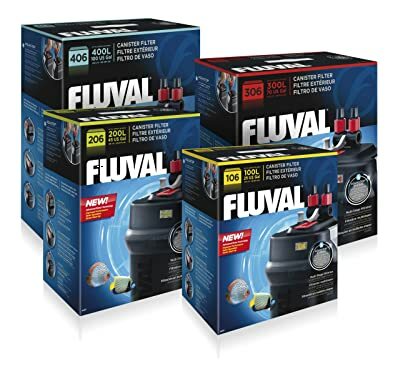 The Fluval 406 is a reliable piece of equipment that will keep your tank clean. This filter has all the power you’ll need for a larger tank. It even has many advanced features made to make your life easy. Below we will go over everything you need to know about the Fluval. What Tank Size Does It Work For? When it comes to keeping an aquarium in shape, you may feel like your loosening your mind. The internet is sprinkled with hundreds of items claiming their the best. This can make deciding which product will fit your tank more of a challenge then it should be. 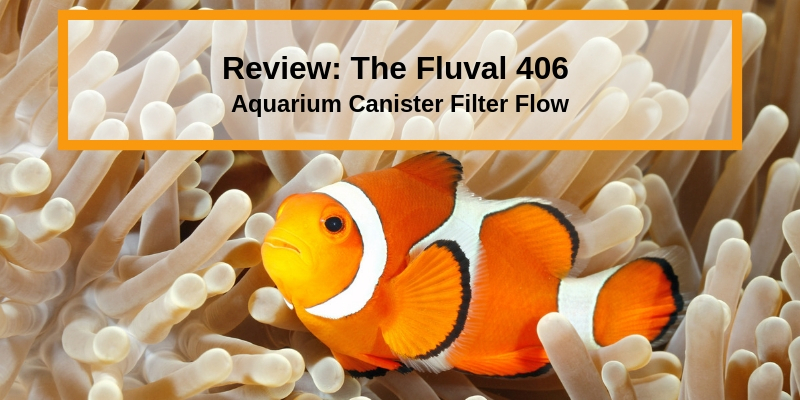 By using the Fluval 406 you are taking a huge step towards a healthier aquarium. 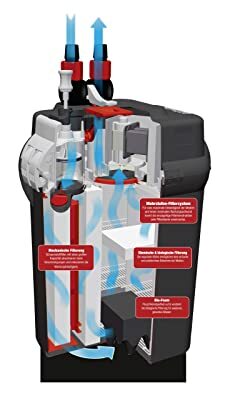 This system is a top of the line product sure to keep your tank cleaner. This is a powerful system that is ready to take on the messiest fish. All it needs if proper maintenance to last for years. Just compare it to some of the other top filters on the market. This filter is built for fast set-up and to make performing maintenance easy. The Fluval brand wants to make your life as easy as possible. This model has improved on all the previous ones for more precise cleaning. It’s even a 15% quieter pump than the previous model. The filters overall design has been updated to use more sturdy materials. That means less chance that your Fluval will break down on you. A tougher shell over the impeller means less of a chance of any accidental damage. This model is completely redefined for added durability. 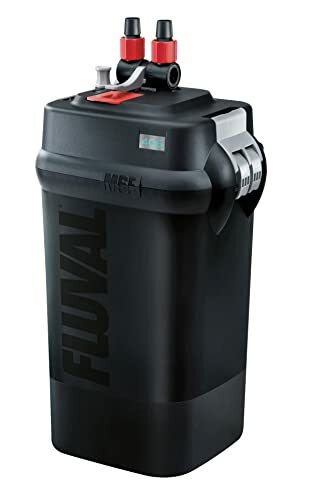 As an added bonus this canister holds 35% to 50% more water than other filters. This is thanks to the great design of the Fluval. The filter has an incredibly high water flow rate as well. This ensures that the filter can handle your tank with complete ease. One of the most important questions you should ask with any filter is what size tank does it work for? 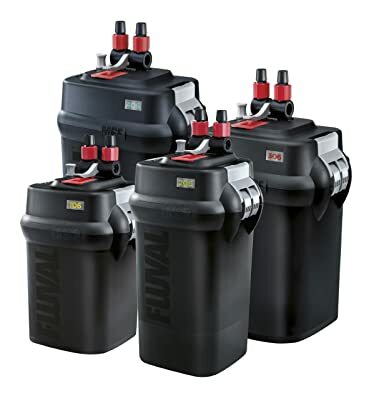 The filter can handle aquariums up to 400 liters or 100 gallons in size with no trouble at all. This is perfect for anyone who has or wants a large tank. The flow rate of this filter is 353 gallons of water per hour. This impressive water flow rate may be too much for some fish. Be sure to research into your breeds to make sure the filter won’t be too much for them. As for cleaning though, the high water flow guarantees clear water. This filter can work in smaller tanks perfectly fine. Even tanks as small as 36 gallons have used this model with no problem. As long as your fish aren’t stressed you can never have too much filtration. Of course, the smaller the tank the cleaner the water. The filter doesn’t even weigh a ton making it easy to move around. This combined with the leak-proof valves makes the Fluval 406 one of the best models you can get. For more powerful filters suggestions click here. 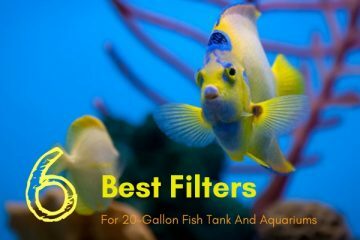 This filter is made to use multiple types of media to help moderate your aquarium. The multistage filtration process uses mechanical, chemical, and biological filtration. This filter even used bio-foam to ensure that no debris escape back into your tank. You will also be thrilled to know that the filter lets you control the water flow. 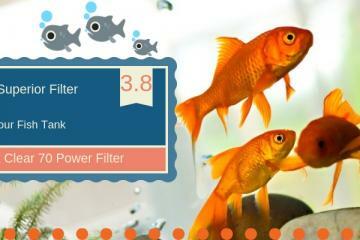 This will allow you to adjust the filter to your fish’s needs. The filter also comes with easy open valves. This makes hooking up or unhooking the filter easier than ever. The filter has a sound dampening impeller to keep things quiet. It’s so quiet that you can even keep the tank in your bedroom. 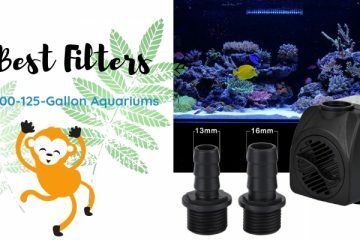 This filter works well for both freshwater and saltwater aquariums. You can even use it to set up reef tanks like the ones here. This product has a clog-proof strainer to keep your filter running smoothly. It also features a dual-layered foam screen. This keeps water from dripping out and damaging the electronics. This helps increase the durability of the filter by keeping accidents from happening. This filter measures 7.6 x 14.5 x 17.8 inches and weighs around 10 pounds. This is a hefty filter, but it shouldn’t have to be moved around too often. This filter comes with a 3-year warranty to protect your purchase. Just contact the company for a replacement if any issues arise. With this filter, you will receive all the media you need to get started. You will also receive several hookups and hoses so the filter is almost ready to go out of the box. 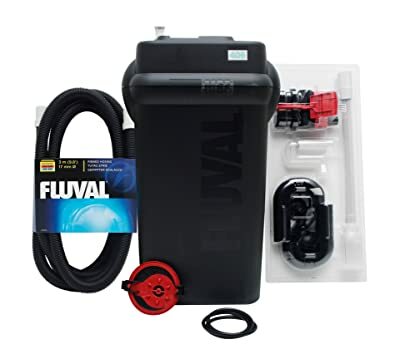 Keep in mind that Fluval has a specialty line of filters available made just for this product. Setting up the filter is made to be a breeze. Most of the filter should already come out of the box assembled. All you need to do is hook it up to your tank. Included in the box should be all the hoses you need to get a successful connection to your tank. You will also receive some helpful instructions to help you get started. From there you just need to make sure the valves are tight and the hoses are secured. The Fluval 406 is made to not have leaks. The included hardware should fit well enough to keep this from happening. In order to keep things running smoothly, you will need to maintain this product. You should routinely clean this filter every 2-weeks to a month. This keeps debris from building up that can strain or damage your filter. You will also need to replace the media regularly. This filter has a few features that make cleaning it easy. The first of these features is the AquaStop valves. These valves can stop water flow without having to disconnect the hose. This helps keep messing at a minimum as there won’t be any leaks. The filter also features helpful Lift Lock Clamps. These ingenious clamps work to securely lock the motor in place. These locks work quickly and are made to be strong. They are even made out of class fibers for guaranteed durability and sturdiness. This filter features quick change mechanical media. This makes fixing up your media easier than ever. If you miss a cleaning don’t worry. The powerful filter can push through a little bit of build-up with no problem at all. To top it all off this filter is self-priming. That means you won’t have to do any work to get it started up. Simply plug it in and let the Fluval 406 start to work its magic. The product is made to make your life easier than ever when it comes to cleaning or maintenance. 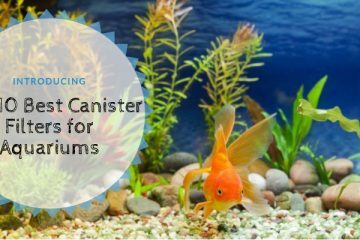 If you need a little more help with cleaning check out these aquarium vacuums. As with almost any product on the market the Fluval has pros and cons. These are some of the things you should consider most before deciding to buy this product. No matter how many pros there are one con can make the filter not a great fit for your home. To start with, this filter has a lot going for it that most consumers will love. This filter is protected by a 3-year warranty and made to be durable. It even comes with the media you need to get you started. The model is easy to put together so set-up won’t take a ton of time. This model also features AquaStop valves and clamps to hold the motor for cleaning. It’s whisper quiet and has a strong motor. At just 10 pounds it’s not even as heavy as some other models on the market. That makes the product easy to move around when needed. There are a few cons that come with this product though. If maintenance does need to be done then be warned parts take a while to arrive. This can also count if you have to get a full filter replacement. Make sure you always have a backup if possible. Now that you know pretty much everything there is to know about this filter you may want to buy it. Especially since this is a model that can work with virtually any tank out there. That coupled with the adjustable water flow makes it the perfect pick for most. Just remember to make sure to know what size of tank you want or click here for some tank suggestions. Tanks over 100 gallons won’t work as well with this product. 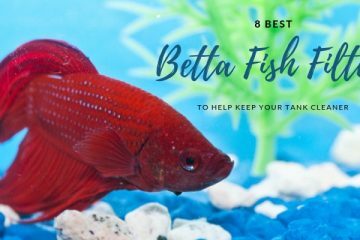 You will also want to keep an eye on your fish. If the water current is too strong they can become stressed out leading to sickness.